How to overcome from Sprains and strains which are incurred while working out. Home Blog How To Overcome From Sprains And Strains Which Are Incurred While Working Out. Have you ever dealt with a muscle sprain or strain? How did you handle it? Did you stop working out while you were healing or did you choose different ways to keep up with your workouts?What is the difference between a strain and a sprain? Are they the same thing? Are they even similar to each other? Strain and sprain both are the types of injury which happens when your muscle fibers stretch or tear beyond a certain measure.Both of them can cause a lot of pain. Strain or sprain causes the injured part pain and swelling but does not completely make it lose its function. Mainly, strain affects the tendons and muscles whereas a sprain affects the ligaments. If it goes beyond strain or sprain we are talking broken bones, and normally, a complete loss of function. First of all, you have to find out the root of the injury? If you experience some sort of stiffness, soreness, tender muscle or swelling then obviously you may have a muscle strain and if you are experiencing pain, swelling or bruising, then you are suffering from a sprain. 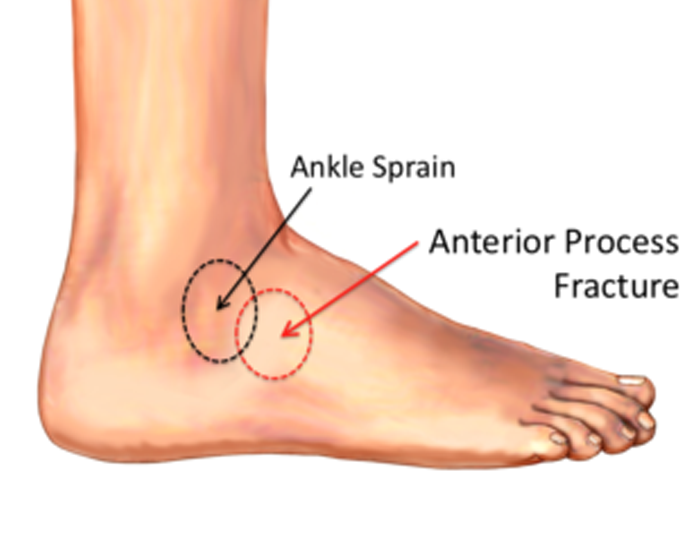 Most sprains happen in an ankle. Whenever people fall and land on their hand, they sprain their wrist. A sprain to the thumb is common in skiing and other sports. Signs and Symptoms of Sprains? Not being able to move or use the joint. 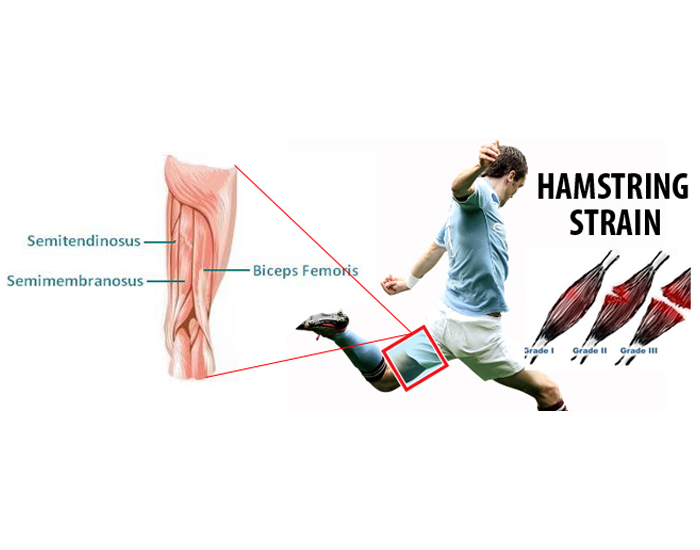 Hamstring muscles and back muscles on the back of your thighs are the most common sites for strains. Mostly strains happen to those people who actively participate in rough sports. Who use their hands and arms a lot in sports like gymnastics, tennis, golf, and rowing. People who play these sports sometimes strain their hand or arm. Elbow strains can also happen while playing sports. What Are the Signs and Symptoms of Strains? If a muscle or tendon is torn completely, it often gets very painful and makes the movement hard for the injured area. Stop, whatever you are doing at once. To decrease the pain and stop the injury from spreading and becoming worse, immediately apply a splint, pad or crepe bandage. At least for 48-72 hours restrict yourself from getting engaged in any kind of sporty activities and control the movement of the injured area. Apply compression. Apply crepe/wrap bandage to the affected area, remove it during the time of icing and put it back afterward. Keep the injured area elevated to reduce the swelling and pain but avoid any rough movements. Nobody wants to suffer the pain of strains or sprains so always be in proper physical condition while playing any kind of outdoor sport. Always remember to warm up and stretch before playing. Wear protective equipment while playing. Take care of your movements while playing to avoid any case of tripping or falling. Reduce the number of regular exercises or activities as needed. Put no weight on an injured area for 48 hours. If you cannot put weight on an ankle or knee, crutches may help. If you use a cane or one crutch for an ankle injury, use it on the uninjured side to help you lean away and relieve weight on the injured ankle. Ice will act as a pain reliever at this moment. Apply it for 15–20 minutes in every 90 minutes for to eight times a day. A cold pack, ice bag, or plastic bag filled with crushed ice and wrapped in a towel can be used. To avoid cold injury and frostbite, do not apply the ice for more than 20 minutes. Compression of an injured ankle, knee, or wrist may help reduce swelling. Examples of compression bandages are elastic wraps, special boots, air casts, and splints. Ask your health care provider or nearby pharmacist for advice on which one to use and how to apply the bandage safely. Always remember that if you are suffering from an extreme amount of pain then don’t and immediately seek medical assistance. You may need expert attention for the treatment of your injury. So it’s important to get professional help right away if you are badly hurt.